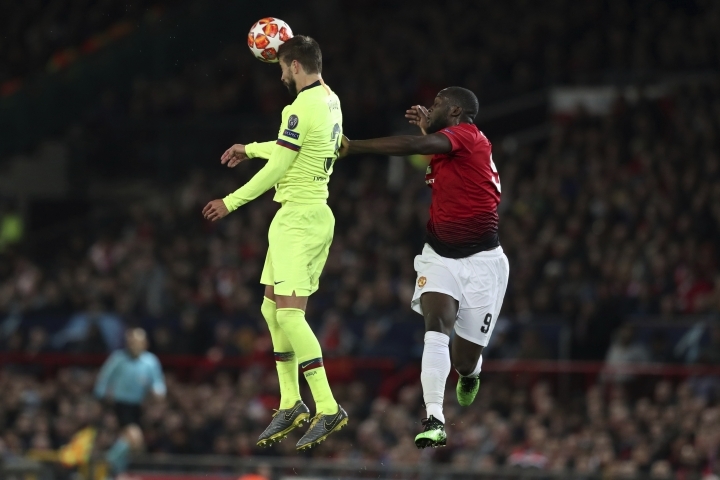 BARCELONA, Spain — When Barcelona hosts Manchester United on Tuesday, it will field three players who helped the Spanish team beat the English side in the 2009 and 2011 Champions League finals. Lionel Messi will again lead the attack for the quarterfinal second leg at Camp Nou, Sergio Busquets patrols the midfield and Gerard Pique remains in defense. While Messi has maintained his unique brilliance by reaching the 40-goal mark for a 10th consecutive season, Pique has taken his game to new heights at the age of 32. The center-back anchored a defense that secured a 1-0 first-leg win last week after leaving United without a shot on goal in a Champions League game at Old Trafford for the first time since 2005. Pique will help to protect that advantage on Tuesday while Messi and his fellow attackers aim to finish United off. "Gerard is always there, always plays well. He is a very experienced player for us. He is part of our backbone," Barcelona goalkeeper Marc-Andre ter Stegen said on Monday. "He has been a key part of our title runs and has played spectacularly for many seasons. We all hope, except for those at United, that he keeps this going." Pique played for United from 2004-08 after coming up through Barcelona's youth academy. He then returned to his boyhood club under Pep Guardiola. Pique was the young partner of Carles Puyol in the heart of Barcelona's defense until he grew into the role of a team leader. He has won three Champions Leagues, seven Spanish leagues and six Copa del Rey titles at the club. After pairing up with Javier Mascherano for several years and then Samuel Umtiti last season, he has found an ideal sidekick in Clement Lenglet this campaign. United manager Ole Gunnar Solskjaer credited both center-backs with disarming his attack in the first leg. 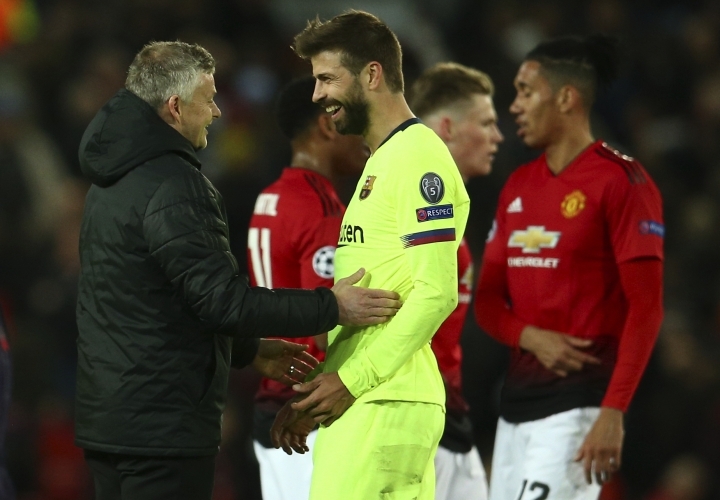 "We got many, many crosses in against Barcelona last week, but Gerard and Lenglet defended really well," Solskjaer said before his team trained at Camp Nou on Monday. Pique excels as a passer who can initiate Barca's possession-based attack, and as a defender who is left alone against the opposition's top striker. He retired from international football with Spain last year after 102 appearances, a World Cup title and a European Championship crown. Since then he has expanded his ventures as a businessman, launching a project to redesign tennis' Davis Cup and leading the takeover of a small soccer club in Andorra. But he has also strengthened his role at Barcelona. 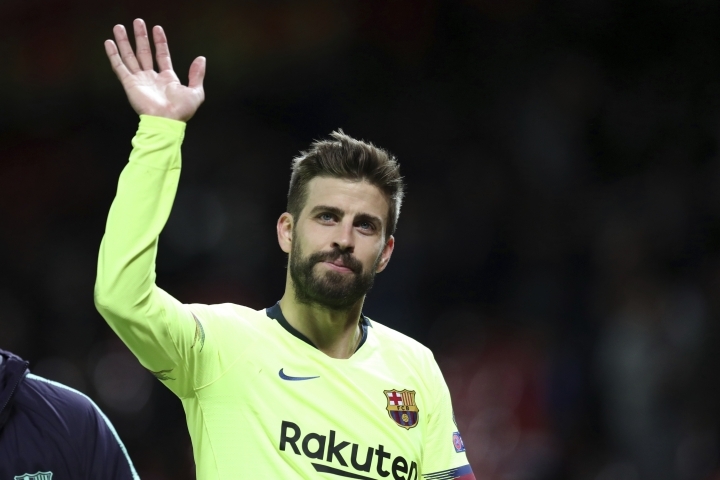 He leads the club's outfield players in minutes played this season and, in the Spanish league, Pique is setting the pace for his team in blocked shots, balls recovered from opponents, clearances, and winning one-on-one duels for balls in the air. He has also chipped in with four goals, making him the team's fifth highest scorer. "(Pique) is as committed to the team as he ever has been, but at an incredibly high level," said coach Ernesto Valverde last week.